Our global Advisory Practice is helping our clients to improve and sustain their business performance. In today's complex business environment that means understanding the relationship between risk and performance improvement, and applying our knowledge to help clients achieve their business objectives. We continue to build the leading Supply Chain advisory practice and are looking for the next generation of outstanding talents to support this journey. Therefore, for our Supply Chain & Operations team, we are looking for experienced, motivated and highly committed Senior Consultant with professional working experience in supply chain management. As a Senior Consultant you will actively support our clients on their supply chain transformation journey across the different functional areas of supply chain from strategy through to shop floor execution - across technology, process and organization. In the area of Supply Chain & Operations you will accompany organizations in the implementation of company-wide transformation programs - from strategy and concept development to implementation and from planning to shop floor execution. You will support COOs/CTOs in implementing transformations in Supply Chain & Operations as well as Research & Development as the world becomes digital, consumer needs change and the shape of the supply chain fundamentally changes. We offer you to join our fast growing supply chain team with unique career opportunities. You will be working in a highly dynamic and cross-functional team - being able to boost your learning curve through the combination of intensive team work, challenging client projects and being part of the network of one of the world's leading professional services firms. Do the next step and apply for this position online. Ref No: ZUR001AI. 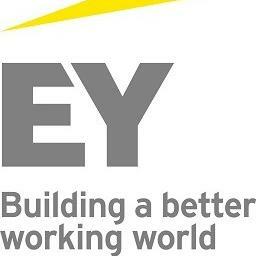 For further information please contact our recruitment team (recruitment.switzerland@ey.com / +41 58 286 33 66). Nutze den Service von jobs.ch und finde heraus, was man als Berater verdient.